The Gruene water tower stands guard over the town on a bluff above the Guadalupe River. Gruene Hall, built in 1878, is one of the oldest dance halls in Texas. Gruene General Store attracts tourists to the historical community. Gruene (/ˈɡriːn/ green) is a former town in Comal County in the U.S. state of Texas. Once a significant cotton-producing community along the Guadalupe River, the town has now shifted its economy to one supported primarily by tourism. Gruene is now a district within the city limits of New Braunfels, and much of it was listed in the National Register of Historic Places on April 21, 1975. It is part of the San Antonio-New Braunfels Metropolitan Area. 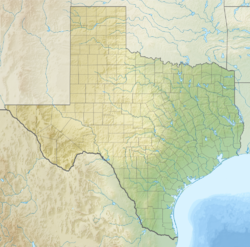 Arriving in Texas in the mid 1840s, German farmers became the first settlers of what is now known as Gruene, Texas. Ernst Gruene, a German immigrant, and his bride Antoinette, had reached the newly established city of New Braunfels in 1845, but acreage was scarce. Thus, Ernst and his two sons purchased land along the Guadalupe River, and Ernst built the first home in Gruene in early fachwerk, German Timber Framing house style. Ernst Gruene's second son, Heinrich (Henry) D. Gruene, built his house (now Gruene Mansion Inn) and planted his surrounding land with cotton. Having become the number one cash crop, the cotton business soon brought 20 to 30 families to Henry D.'s lands. Henry D. built houses in various styles: a Victorian cottage (now Lone Star), a large brick home, and a frame house (now Gruene Haus) for the foreman of his farm. In 1878, Gruene opened a mercantile store to serve the several dozen or so families sharecropping on his land. Originally known as "Goodwin", the town benefited by its location along the stagecoach route between Austin and San Antonio, the store thrived for many years and stimulated local commercial growth. A cotton gin (now Gristmill River Restaurant and Bar) powered by the Guadalupe River was added soon after. Gruene Hall, which opened in 1878, is one of the oldest dance halls in Texas. The Thorn Hill School and three large cotton gins soon followed. By the time the International-Great Northern Railroad was built across Comal County in the 1880s, the small community was bustling with commercial and farming activity, and officially took the name "Gruene" after its founding father and most prominent citizen. By 1900, Gruene was a prominent banking, ginning, and shipping center for area cotton farming. Though it never had a post office of its own, the community did possess two freight rail stations by the 1910s. In 1922, the original cotton gin burned and was replaced by a modern electric model down the road (now Adobe Verde). Gruene was decimated, however, by the boll weevil blight of the 1920s, and further doomed by the effects of the Great Depression. By 1930, the population had fallen to 75, and post World War II highway construction bypassed the town. By 1950, Gruene had become a Ghost town. In 1974, Chip Kaufman, an architecture student at UT Austin working with the Texas Historical Commission and an avid kayaker floated down a little further on the Guadalupe River than usual, to the southern most public takeout known as The Gruene Crossing. After catching a glimpse of an old water tower up the hill peeking above the treetops, he decided to investigate. Astonished by his discovery of numerous late 1800's and early 1900's buildings, some with architectural layering, he immediately realized their significance and requested permission from the Texas Historical Commission to inventory the buildings for their records, which they approved. While doing this he learned that a group of real estate developers had purchased the last 200+ acres of the Gruene Estate, including all the historic buildings, and planned a housing development which included razing the old structures to build condominiums on the river bluff. Kaufman convinced the developers of the significance of the buildings in Texas history and with their blessing Kaufman worked to place Gruene on the National Register of Historic Places in 1975 as an entire district. The developers further agreed to let Kaufman find new owners interested in the old buildings for new commercial ventures which would provide a core for their new housing development. Pat Molak was among the first of the new owners. Pat Molak purchased Gruene Hall in 1975 and completed a few unavoidable repairs to the 6,000 square-foot Hall. With the help of his friend Mary Jane Nalley, he worked to preserve the authentic, turn-of-the-century look and feel of Gruene by purchasing and repairing several of the town's most notable structures and transforming them into thriving businesses. Mary Jane Nalley was later awarded with Besserung Award by The New Braunfels Chamber of Commerce. As a result of the restoration of area structures, such as the Gruene Hall and old mercantile store, Gruene began a rebirth of sorts in the early 1970s. Redevelopment and restoration of the area continued throughout the 1970s and 1980s and today, and though no longer an autonomous community (it was annexed by New Braunfels in 1979), Gruene maintains a thriving tourist business. Many original structures from the town's heyday still exist, including the Gruene Family Home, a Victorian-style edifice built in 1872 which is listed on the National Register of Historic Places and today operates as the Gruene Mansion Inn. A historic water tower rises above Gruene Hall, and other buildings at the heart of the district have been renovated into shops and restaurants. There is also a wine-tasting room. ^ Bragg, Roy (2012-05-12). "Bragg: Texas towns are not so foreign to native tongues". San Antonio Express-News. Retrieved 2016-09-02. ^ a b c d e f The official web site of Gruene Historic District. "THE HISTORY OF GRUENE HISTORIC DISTRICT". ^ New Braunfels Chamber of Commerce website. "Nalley Wins Chamber's Citizen of the Year Award". 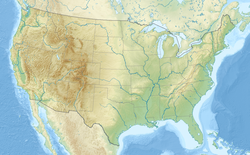 Wikimedia Commons has media related to Gruene, New Braunfels, Texas. This page was last edited on 20 November 2018, at 15:04 (UTC).